Have you experienced multiple leaks recently? Does it seem that no matter what you do or what your plumber does there is always a leak somewhere in your home? If so, this is a big sign that it is time to have your home repiped. A leak here or there is common. But when you experience constant leaks, no matter the size, you need to look into repiping the home. It will save you money in the long run because new pipes will prevent future leaks. Does the water in your home look red or brown? This can be in your kitchen sink, shower, bathtub or any other spigot in the home. If the pipes in your home are really old they are subject to developing rust and corrosion. This rust can seep into the water in the pipes and show up in the sinks or showers. This brings about two reasons to repipe your home: the pipes are old and the age is affecting the quality of the water. Has the taste of the water coming from your spigots changed? Is there a foul smell coming from the water in your shower, washing machine, or other spigot in the home? These are signs that should never be ignored. These issues usually are indicative of old pipes that likely need to be replaced instead of repaired. When you move the handle on the spigot to warm and the temperature of the water does not change, it could be a sign that the pipes need to be replaced. The same can be said if you move the handle on the spigot and the temperature reacts wildly, such as getting too hot or even changing from hot to cold when the handle is set to hot. There are some ambient noises that a home will make. Then there are some obvious noises a pipe will make when it is older and needs to be replaced. These noises include banging, creaking, and popping. 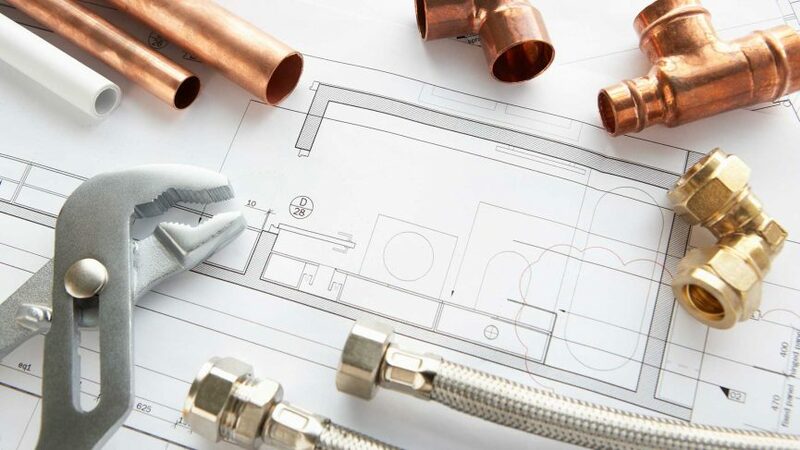 The more often you hear pipes make these noises, especially when the hot water kicks in to heat the home through baseboard units, the likelier it is that the pipes need to be replaced. As with a lot of other plumbing issues, low water pressure is a sign that repiping could be in your future. It’s best to check for all of the other signs mentioned in this post before settling on repiping simply because the water pressure is low. If low water pressure is present in your home and it is an older home, the mineral buildup in the pipes could be blocking water from flowing properly. Have you experienced any of these signs in your home recently? If so, contact the experienced team at Flow Plumbing in Mesquite, TX to schedule an appointment for repiping. The office can be reached at 214-388-8838.